Just Shutters Hoylake, run by husband and wife team Ken and Angela, are your local shutter experts. The pair know the town of Hoylake, located on the North East corner of the Wirral peninsula, very well. Therefore, they appreciate there is a diverse range of homes and can find you the perfect shutters whatever your style. Call us on 01244 567 890 to start your Just Shutters Journey! -Being entirely child safe. Therefore, they are perfect for a family home. -Shutters are incredibly easy to clean. As a result, they are ideal for a busy household. -The privacy and security of your home will be enhanced by the addition of shutters. -Longevity is a main plus point of shutters. Therefore, we offer a lifetime guarantee! Furthermore, as all shutters are made to measure and have a variety of finishing options you can rest assured that you interiors will be entirely unique! Click here to browse our range (the largest in the UK!). Call the team today on 01244 567 890 to discuss your options. Book your home design visit and get a quote. Our experts are on hand to answer any questions you may have! 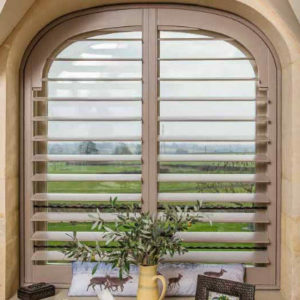 Customer satisfaction is truly at the heart of everything we do at Just Shutters. From initial contact, to the clean up of your home after installation, our experts strive to ensure you are satisfied with the service and product you receive. Therefore, we are thrilled to have been awarded a 9.9/10 rating on Checkatrade. This rating comes as a result of over 1700 independent reviews. Be inspired by our beautiful full colour brochure. View our extensive range of shutter styles, materials and finishes. Request a home visit and quotation from your local Just Shutters expert. Want to receive the latest news from Just Shutters? Website Design Bournemouth by South Coast Web Design Ltd.